Any modern cruise ship or hotel today undoubtedly has a pristine gym, and many have fun classes to make sweating fun, but finding an adventurous way to be physically active outside can be an extremely appealing alternative while traveling. 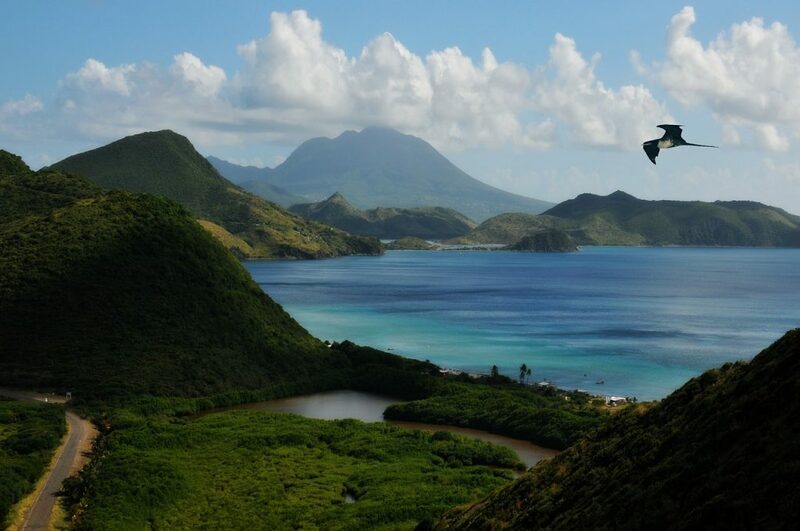 St. Kitts has more to offer than just their stunning white sand beaches. A large portion of the island is rainforest, so instead of laying on the beach, go off the beaten path and challenge yourself a bit physically with this volcano hike. Mount Liamuigia is one of the tallest mountains in the Caribbean, a stratovolcano standing at 3,792-feet (1,156 m) and forming the western part of the island. The crater at the summit is more than a half mile wide and contains a lake. The last documented eruption was nearly 1,800 years ago, so it’s perfectly safe to hike. Safe, but strenuous. The hike itself to the top, which you can book with numerous tour companies is more of a climb, almost four miles up to the summit, and the trail can be muddy and wet, so a certain level of fitness is definitely necessary. Most guides provide water and walking sticks to help, but it’s recommended you wear the sturdiest sneakers or boots you have and clothes you don’t mind getting dirty and sweaty. Despite the lengthy trip (over 2 hours up and a little less on the return), it will fly by as your guides entertain and point out the unique plant and wildlife surrounding you. Naturally, the views at the top are nothing short of stunning and totally rewarding. In addition to the island itself and the sea, you can spot neighboring islands like St.Barth, St. Martin, Antigua, Saba and Statia.